Plant that causes third-degree burns popping up in the U.S.
Friday, July 8, 2016, 2:16 -	Researchers are analyzing the integrity of coconut walls for inspiration in developing building designs that can withstand earthquakes and other natural disasters. Coconut palms are known to grow up to 98' high. Coconut shells consist of three layers to protect the inner seed and prevent the ripe fruit from splitting when they fall to the ground. These layers consist of the outer brown, leathery exocarp, a fibrous mesocarp and a tough inner endocarp. "By analyzing the fracture behaviour of the samples and combining this with knowledge about the shell's anatomy gained from microscopy and computed tomography, we aimed to identify mechanically relevant structures for energy absorption," plant biochemist Dr. Stefanie Schmier said in a press release. 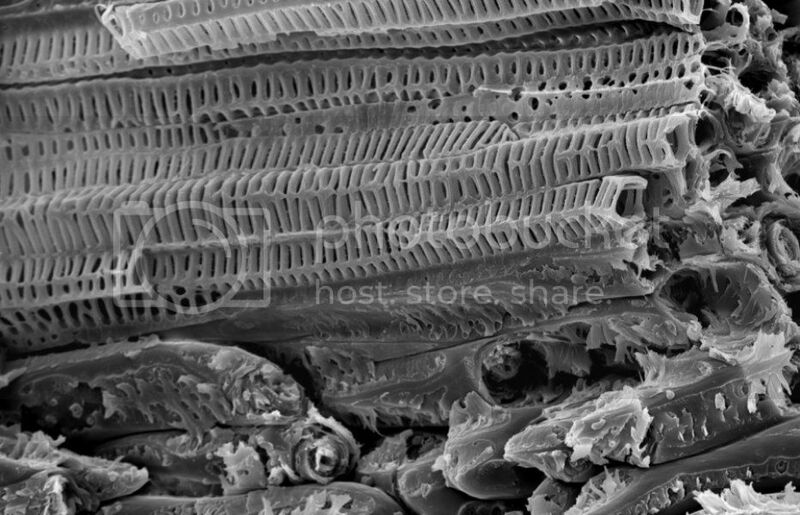 Image courtesy: Plant Biomechanics Group Freiburg -- The distinct ladder-like design and angle of the vessels in coconut shells helps to dissipate energy. "The endocarp seems to dissipate energy via crack deflection," Schmier said. "This means that any newly developed cracks created by the impact do not run directly through the hard shell." "This combination of lightweight structuring with high energy dissipation capacity is of increasing interest to protect buildings against earthquakes, rock fall and other natural or man-made hazards," noted Schmier. So, if the distinct angle of the vascular bundle in a coconut's endocarp could be applied to the arrangement of textile fibers within concrete, it could help enable crack deflection.